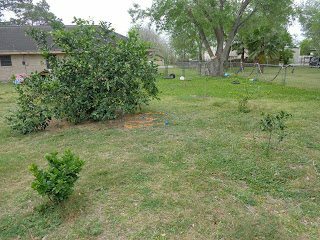 One of our goals for our little homestead is to have quite a few fruit trees. 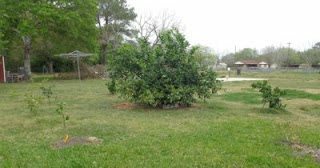 I really think fruit trees give you the most bang for your buck and for your time. 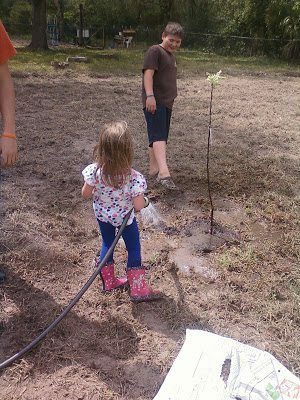 We had 4 peach trees, 2 plum trees, 2 apple trees, a grapefruit tree and an orange tree that needed to be planted. 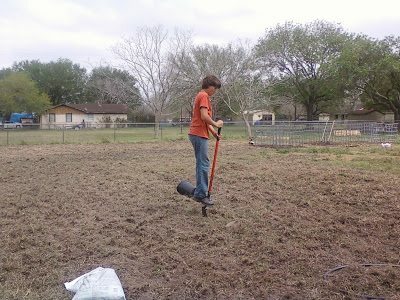 Gabriel was nice enough to lightly till up the orchard area so we could sow some wildflower seeds before we planted the trees. The optimal time to sow wildflower seeds in our area is in November so I don’t have high hopes for this year. But in November we’ll sow some more and hopefully next spring we’ll have a nice wildflower field for our bees. 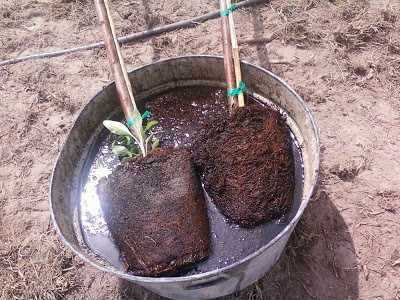 We soaked the trees in a tub of water while we dug the holes. 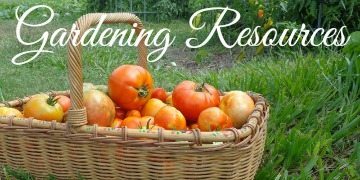 After planting them we watered them thoroughly. We mixed in a little compost with our native soil to back fill the hole. 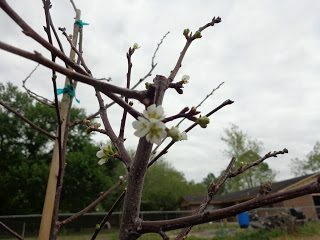 I’ve read that I’m supposed to prune back the branches to 6″ from the trunk when I plant fruit trees. I bought the pruners but I can’t seem to bring myself to do it. Especially on the plum tree that has all of these beautiful blooms. Is it really, really necessary????? I said I wasn’t going to get any more fruit trees this year, but when I went to the feed store and they had apple trees in just the 2 varieties that grow in our area for $13 I just couldn’t resist. So I bought one of each. Up closer to the house is where our citrus orchard is. The big Meyer lemon tree was here when we bought the house. We’ve added a Key Lime, Satsuma orange, another Meyer lemon, Rio Red grapefruit, Cara Cara orange and an unknown orange tree that a friend gave us. Most of these are pretty small but the Cara Cara and the grapefruit trees have lots of blooms on them. 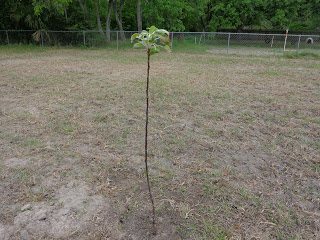 I am curious to know why you sow wildflower seeds around the fruit trees first. Got to love the prices you paid for those apple trees. Just because I think it’ll be pretty. 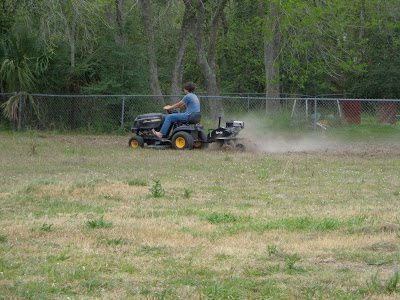 It will also mean less mowing and more pollen for the bees. But mainly, just because I love bluebonnets, indian paintbrushes, firewheels (or indian blankets), evening primrose….well you get the idea. Our peach trees are definitely too tall, they are 10-12 feet. We’re supposed to prune in February but I didnt’ get mine in the ground in time. I think I’ll visit our county extention agent and get the scoop. It gets so hot here I don’t want to do anything that will cause the trees to not survive the summer. 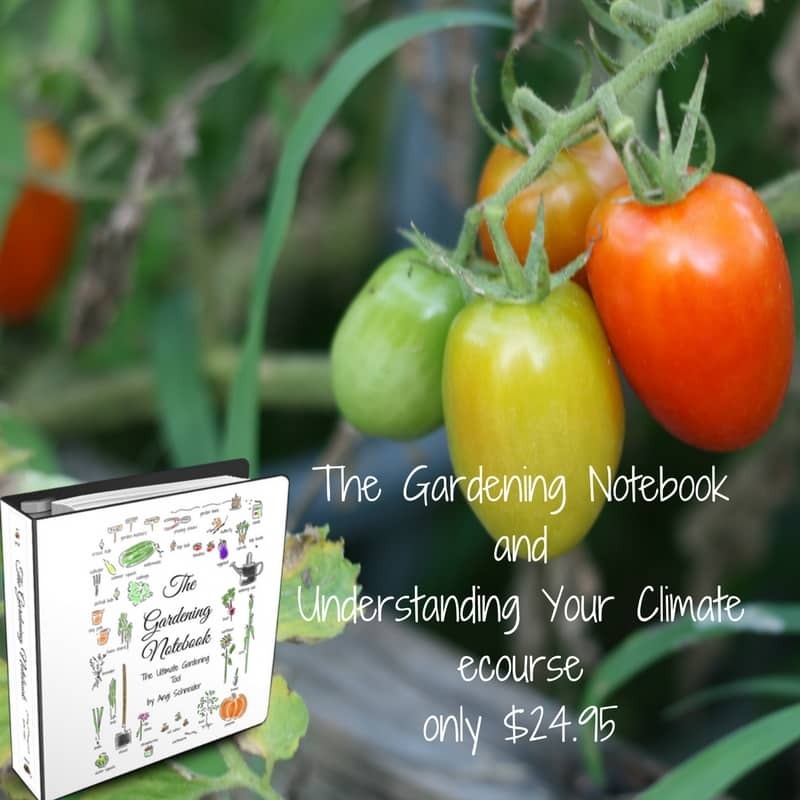 I’ve always read to not prune anything the first year – fruit trees included. Pruning is for fruit production and control of growth – neither of which you want the first year. 🙂 We never have and they’ve grown just fine. 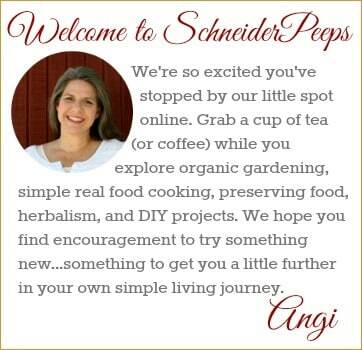 I envy your orchard – it’s going to be wonderful! Thanks, Jami. That’s what I thought and I just can’t bring myself to cut them yet. We are so blessed by my mom and her husband for the peach and plum trees. I can’t wait until we can share some fruit with them.